This product was added to our catalogue on Wednesday 25 September 2013. 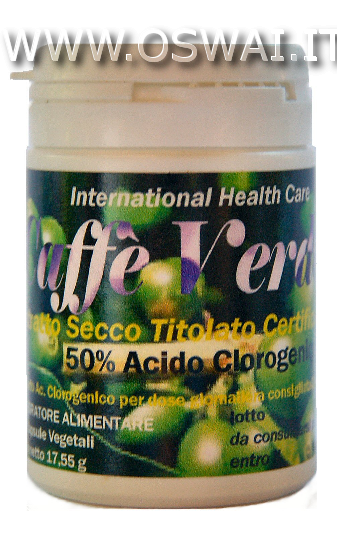 Ingredients for 1 vegetarian capsule : Coffee- Only Pure dry extract titrated green seeds ( Coffee arabica L.) 490 mg - (Title 50 % Chlorogenic Acid , intake of 245 mg). How to use take one capsule daily in the morning between meals. The molecule of chlorogenic acid , commonly prevalent in foods such as coffee and certain plants, collecting special interest in nutrition and has been studied for its antioxidant , antibacterial and antiviral properties , and in general for potentially preventive activity against tumor diseases , cardiovascular disease and diabetes. Its antioxidant activity is expressed both by inhibiting the formation of reactive oxygen species ( oxigen quencher ) that stopping the propagation of oxidative reactions ( radical scavenger , or chain breaker ) through the formation of a stable radical that does not propagate the reaction . Chlorogenic acid has been shown to possess antiviral and antibacterial activity against several microbial species (Li et al. , 2005) . 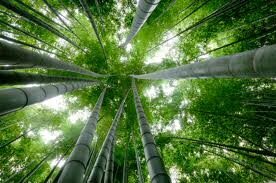 Several animal studies have demonstrated for the chlorogenic acid a significant antitumor activity. This activity will surely explains the antioxidant it plays , but other mechanisms may also be involved . In a recent study published in the Journal of Biological Chemistry ( Feng et al. , 2005) have been proposed and investigated some of these possible mechanisms . A test in vitro antiproliferative activity of chlorogenic acid found in respect of a human tumor cell line ( A549 ) , which can not be explained with the sole antioxidant activity. This activity could involve the inhibition of certain enzymes kinase implicated in cell proliferation , and induction of detoxifying enzymes different phase 2 . It should be noted that even the non-absorbed fraction of chlorogenic acid can still perform its antioxidant activity and protective at the level of the digestive tract , protecting against oxidative damage and therefore the risk of cancer of the stomach and intestines. In vitro tests have demonstrated for chlorogenic acid , caffeic acid and the like for the ferulic acid , the ability to inhibit the reaction between nitrite and secondary amines or tertiary amines to form nitrosamines , strongly carcinogenic for the liver and kidneys ( Kono et al. , 1995) . The nitrosation reaction can occur both in food and in vivo at the acidic pH of the stomach , and the activity of chlorogenic acid antinitrosante esplica likely in both situations . Once again , however, is the antioxidant activity of chlorogenic acid to play a fundamental role in the prevention of cardiovascular diseases , since it protects the lipoproteins LDL oxidation ( and , as is known, the oxidation of LDL increases greatly atherogenicity ) . Very recent studies ( McCarty , 2005) have focused on a new perspective , even this very interesting part of the preventive nutrition : the relationship between consumption of chlorogenic acid and risk of type 2 diabetes . The work was inspired by the observation that there is an epidemiological inverse correlation between coffee consumption ( the main source of chlorogenic acid in the diet) and diabetes risk . According to some researchers, this fact could be explained by the ability of chlorogenic acid - demonstrated in vitro - to inhibit the enzyme involved in the hydrolysis of liver glycogen to glucose ; also the molecule seems to be able to directly reduce the absorption of glucose in the intestine. Animal studies have observed that the administration of chlorogenic acid lowers the glycemic peak induced by glucagon , lowers blood glucose levels in general, and increases the concentration of hepatic glycogen.